Edward Osborne Wilson is an American biologist recognized as the world's leading authority on ants who has conducted extensive studies of the ecology and evolution of the ant. He has travelled the world studying ant populations, and he has discovered several new ant species. These currently number practically 9,000, but Wilson predicts that count will someday total nearly 20,000. He also estimates that within these species there are over a million billion individuals. In 1967, he co-published The Theory of Island Biogeography, a study of islands, which examines the relation between island size, the number of species contained, and their evolutionary balance. He is also active in sociobiology, a genetic study of social behaviour. Naturalist, by Edward O. Wilson. - book suggestion. Booklist for Edward O. Wilson. Pierre-Maurice-Marie Duhem was a French physicist, philosopher of science and mathematician who emphasized a history of modern science based on evolutionary metaphysical concepts. He had a wide variety of mathematical interests from mechanics and physics to philosophy and the history of mathematics. Duhem studied magnetism following the work of Gibbs and Helmholtz and also worked on thermodynamics and hydrodynamics producing over 400 papers. He maintained that the role of theory in science is to systematize relationships rather than to interpret new phenomena. Born 10 Jun 1832; died 26 Jan 1891 at age 58. German engineer and inventor who developed the four-stroke internal-combustion engine, which offered the first practical alternative to the steam engine as a power source. A French engineer, Alphonse Beau de Rochas, formulated the basic design for the four-stroke internal combustion engine and patented it in 1862, but never built a working model. In 1876, Otto used principles from Beau de Rochas and others to construct the prototype of today's automobile engines, often called the Otto-cycle engine. He sold thousands of copies before Beau de Rochas sued him and invalidated Otto's patent. But light, efficient Otto-cycle engines largely enabled the creation of automobiles, powerboats, motorcycles and even airplanes. Born 10 Jun 1803; died 3 Jan 1858 at age 54. Henri-Philibert-Gaspard Darcy was a French hydraulic engineer who first derived the equation (now known as Darcy's law) that governs the laminar (nonturbulent) flow of fluids in homogeneous, porous media. In 1856, modern studies of groundwater began when Darcy was commissioned to develop a water-purification system for the city of Dijon, France. He constructed the first experimental apparatus to study the flow characteristics of water through the earth. From his experiments, he derived the Darcy's Law equation, describing the flow of water in nature, which is fundamental to understanding groundwater systems. He performed extensive tests on filtration and pipe resistance. He initiated the open-channel studies carried out by Bazin. Born 10 Jun 1793; died 20 Apr 1868 at age 74. American inventor and clockmaker whose products enjoyed widespread popularity in the mid-19th century. About 1838 Jerome invented the one-day brass movement, an improvement over the wood clock. Applying the mass-production techniques of American inventor Eli Whitney, Jerome flooded the United States with low-priced brass clocks. His clocks quickly spread to Europe and so astonished the English that "Yankee ingenuity" became a byword. In the 1850s Jerome became associated with unethical businessmen, and his company failed; he died in poverty. American pioneer of U.S. medical education, surgeon general of the Continental armies during the U.S. War of Independence, and founder of the United States' first medical school - the College of Philadelphia (University of Pennsylvania) in 1765. He joined the faculty and wrote his influential Discourse upon the Institution of Medical Schools in America (1765). In 1775, after the American Revolution had started, Congress appointed him medical director of the hospitals and chief physician of the colonial army. Morgan insisted upon such high standards and reforms in the medical department that his subordinates rebelled and forced him from office. He was later exonerated by George Washington, but never completely recovered, dying in poverty ten years later. Born 10 Jun 1710; died 14 Jun 1768 at age 58. Born 10 Jun 1706; died 30 Nov 1761 at age 55. English optical instrument maker of optical and astronomical instruments who developed (1758) and patented an achromatic (non- colour- distorting) refracting telescope and a practical heliometer, a telescope used to measure the Sun's diameter and the angles between celestial bodies. In the 1730's, Chester More Hall, an attorney with an interest in telescopes, first discovered that flint glass appeared to have a greater color dispersion than crown glass did at the same magnifications. Hall reasoned that if he cemented the concave face of a flint glass lens to the convex face of a crown glass lens, he could remove the dispersion properties (and thus, chromatic aberration) from both lenses simultaneously. Dollond learned of the technique in the 1750's and developed it. Died 10 Jun 1971 at age 75 (born 7 Jun 1896). Died 10 Jun 1949 at age 75 (born 22 Jun 1873). 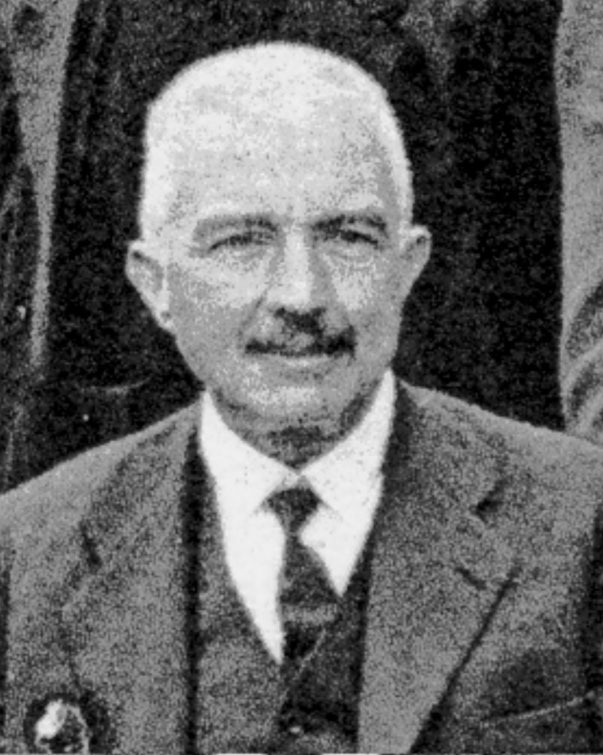 Italian entomologist, best remembered for his pioneering work in polyembryony, the development of more than one individual from a single fertilized egg cell. During the late 1930s Silvestri discovered that this type of reproduction occurs in the insect species Litomatix truncatellus. His finding, resulting from a close analysis of the reproductive stages, cell division, and egg structure of these parasitic hymenopterans, attracted the attention of many biologists because of its implications for the nature of the egg and the causes of multiple generation. He also studied the morphology and biology of the Termitidae, the most highly evolved family of termites. He also made a comparative study of the form and structure of the millipede and the centipede. Sympathy and Science: Women Physicians in American Medicine, by Regina Morantz-Sanchez. - book suggestion. Antonio Luigi Gaudenzio Giuseppe Cremona was an Italian mathematician who was an originator of graphical statics (the use of graphical methods to study forces in equilibrium) and work in projective geometry. Cremona's work in statics is of great importance and he gave, in a clearer form, some theorems due to Maxwell. In a paper of 1872 Cremona took an idea of Maxwell's on forces in frame structures that had appeared in an engineering journal in 1867 and interpreted Maxwell's notion of reciprocal figures as duality in projective 3-space. These reciprocal figures, for example, have three forces in equilibrium in one figure represented by a triangle while in the reciprocal figure they are represented by three concurrent lines. Died 10 Jun 1900 at age 63 (born 28 Mar 1837). Wilhelm Friedrich Kühne was a German physiologist known for his researches on vision and the chemical changes occurring in the retina under the influence of light. His original work falls into two main groups—the physiology of muscle and nerve, which occupied the earlier years of his life, and the chemistry of digestion, which he began to investigate while at Berlin with Virchow. He was proposed the word enzymemeaning "in yeast" (1878), and he isolated trypsin from pancreatic juice. He demonstrated usefulness of cytophysiological investigations for solving problems of general physiology. He devised an "artificial eye," discovered the light sensitive "visual purple" in the retina and was first to perceive migrating pigments in the living retina (1877-78). In 1955, the first U.S. report was made of the separation of a virus into component parts. This work was performed on the tobacco virus, which furthermore could be reconstructed from those parts to produce a material as effective as the virus in its original form in producing disease in tabacco and other plants. They demonstrated that tobacco mosaic virus (TMV) spontaneously formed when mixtures of purified coat protein and its genomic RNA were incubated together, i.e. the structure that TMV adopts is self-ordered and corresponds to a free energy minimum. The report covered the research work of Drs. Heinz L. Fraenkel-Conrat and Robley Williams at the Virus Laboratory of the University of California at Berkeley. In 1952, Mylar® was registered as a DuPont trademark for an extraordinarily strong polyester film that grew out of the development of Dacron® in the early 1950s. During the 1960s its superior strength steadily replaced cellophane because of its its superior strength, heat resistance, and excellent insulating properties. The unique qualities of the film made new consumer markets in magnetic audio and video tape, capacitor dielectrics, packaging and batteries possible. By the 1970s, it become DuPont's best-selling film, despite mounting competition. It is also used as food wrap, for balloons, and by instrument manufacturers to produce high-quality drumheads. In 1932, artificial lightning using 10 million volts of electricity was demonstrated in the U.S. by the General Electric Company at Pittsfield, Mass. This was twice the previous maximum voltage produced in a laboratory. In 1924, the first U.S. portable electrical stethoscope was demonstrated in Chicago, Ill. to amplify the sounds of the human body. It was designed by the Western Electric Co. with Bell System engineers and physiologist Dr. Horatio B. Williams. It was subsequently maketed in Oct 1925. 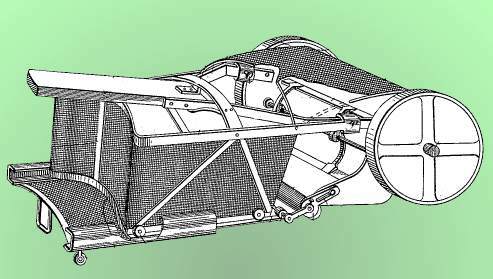 In 1902, An “Automatic Air Brake” patent was issued to black American inventor Granville T. Woods (U.S. No. 701,981), which was an important safety device for the railroads. In 1902, the first U.S. patent for a window envelope was issued to Americus F. Callahan of Chicago, Ill., which he called the outlook envelope (U.S. No. 701,839). He leased the patent to the Envelope company of Springfield, Mass., which began its manufacture in Jul 1902. This style of envelope was able to save expense of printing or labour of addressing, and in addition save time in preparing the message for dispatch when the customary addresses are already on the letter paper itself. In 1890, black American inventor Daniel Johnson received a patent for "Grass Receivers for Lawn Mowers" (U.S. No. 429,629). This was an improvement on the inventor's own earlier patent application. It consists of a means for suspending the receiver from the mower-handle and enabling the weight of the receiver to be equally distributed. The side of the receiver is covered with woven wire netting. For the purpose of dumping the contents of the receiver, a sliding bottom is provided, operated with a foot stirrup. The patent application was signed by Daniel Johnson making his X mark with two witnesses adding their signatures. In 1869, machine-frozen food was transported a significant distance in the U.S. for the first time. A shipment of frozen Texas beef had been processed by refrigeration equipment invented by John Gorrie, and delivered by the steamship Agnes in New Orleans, La. The meat was served in meals at hospitals, and celebration banquets at hotels and restaurants. This was an irony, for John Gorrie had unsuccessfully sought financial support to develop his invention in New Orleans and had died shortly thereafter in 1855. In 1854, G.F. Bernhard Riemann proposed that space is curved in a lecture titled Über die Hypothesen welche der Geometrie zu Grunde liegen. He described the old-fashioned Euclidean plane geometry and solid geometry, respectively, as two-, and three-dimensional examples of what we now call Riemann spaces with zero curvature. Saying that the space is curved, rather than flat or Euclidean, is another way saying that the familiar properties of Euclidean geometry - such as the Pythagorean theorem - do not hold. He went on to suggest that all physical laws become simpler when expressed in higher dimensions. Albert Einstein in 1915 used Rieman's work in his theory of General Relativity which incorporated time as the fourth dimension. In 1837, the electric “Five Needle Telegraph” was patented in London (U.K. No. 7390) by Charles Wheatstone and William Fothergill Cooke. The instrument required six wires between each of its stations. In the Wheatstone system, letters on a board were indicated by the deflection of 5 needles, and a calling device was incorporated to draw attention to the observer. They were granted a patent in the U.S. 10 days before Samuel Morse received his, but Morse was given priority as the first inventor. The Morse patent described a prototype of his famous dot-dash code. However, Wheatstone and Cooke had the priority in the U.K. Their telegraph had no means of recording messages, which Morse regarded as a great disadvantage.